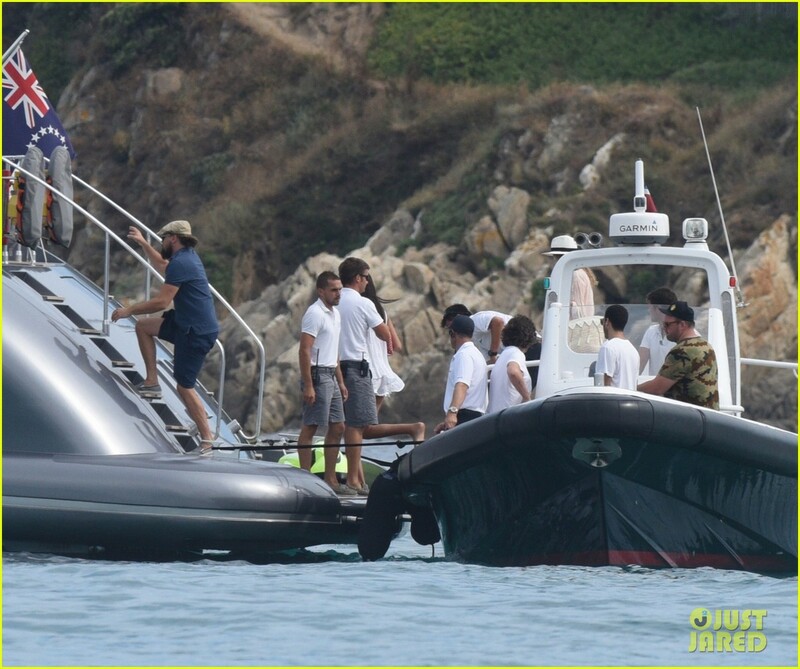 Among the buzz of Leonardo DiCaprio‘s 2nd annual Leonardo DiCaprio Foundation Gala in St. Tropez (which raised a $40 million for the environment) and his latest model GF Kelly Rohrbach, no one in the press seems to be reporting what yacht he’s on! 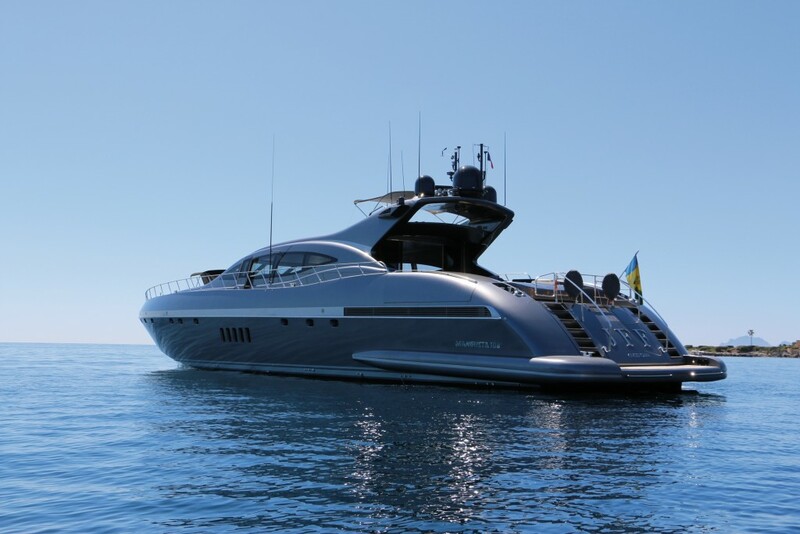 Well of course I have the info that matters for you, and have word her is on a 110ft (33.5m) motor yacht JFF…. yes, I know what you are thinking. 110ft? 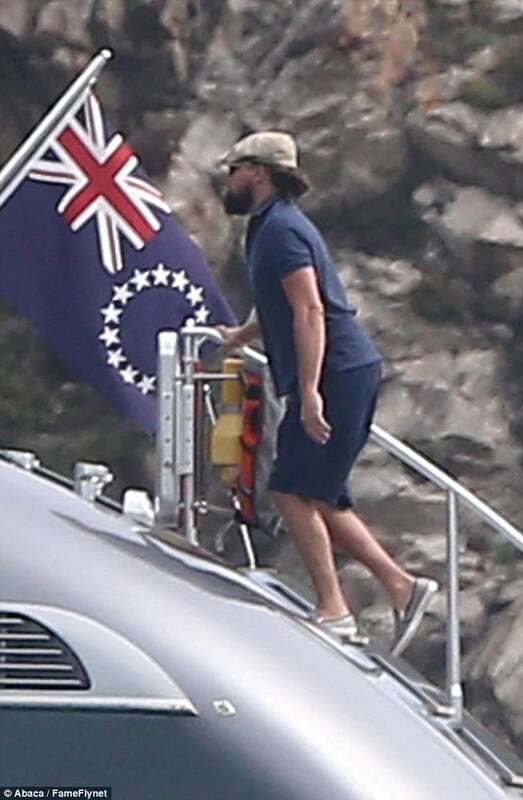 Is this the same Leo that back in Jan was hanging out on the 450ft megayacht Rising Sun? 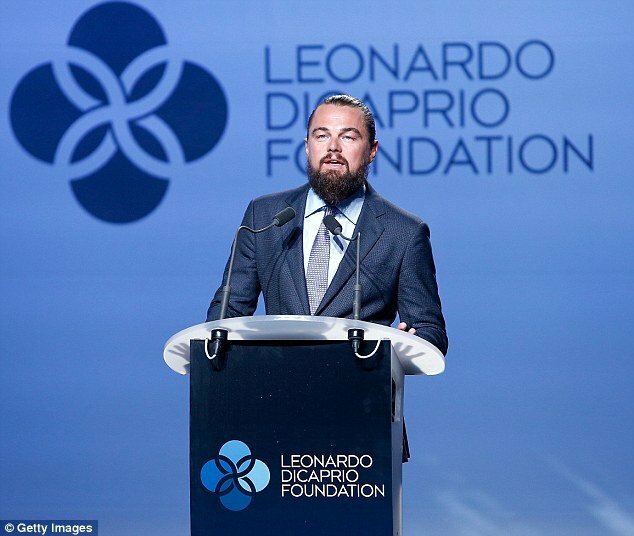 Have some of the voices calling out the ‘Wolf of Wall Street’ star Leo for his environment work and love of superyachts got to him? Or did Leo just want to play it low key at make it all about his event – attending by fellow celebs fellow yacht-lovers Nina Dobrev, Heidi Klum, Michelle Rodriquez, Lewis Hamilton and Sylvester Stallone, as well as Kate Hudson, Marion Cotillard, Naomi Campbell, Orlando Bloom and Irina Shayk. Leo’s stunning new girlfriend Kelly Rohrbach, an ‘actress and model,’ was seen entering the St. Tropez harbor after a tender trip from the luxury yacht. 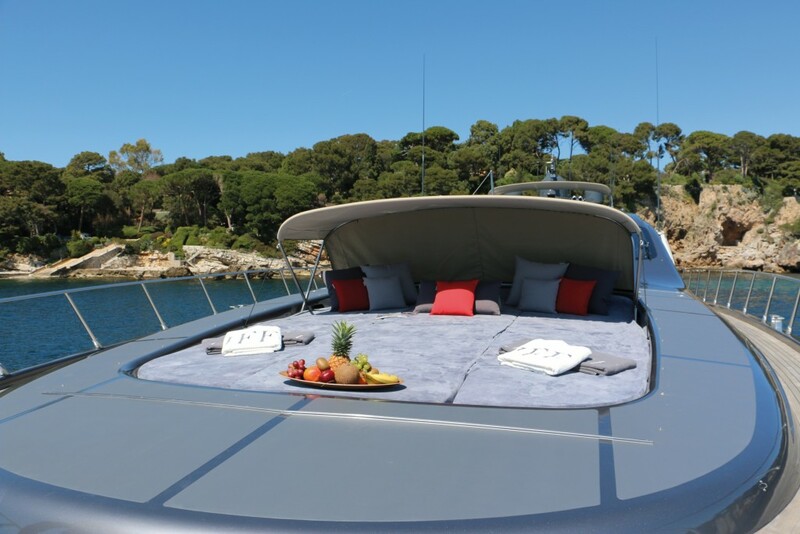 She also shared a sneaky pic of the yacht on her Instagram account with her 57k+ followers – wonder if Leo approves…? According to leading yachting sources, J.F.F. 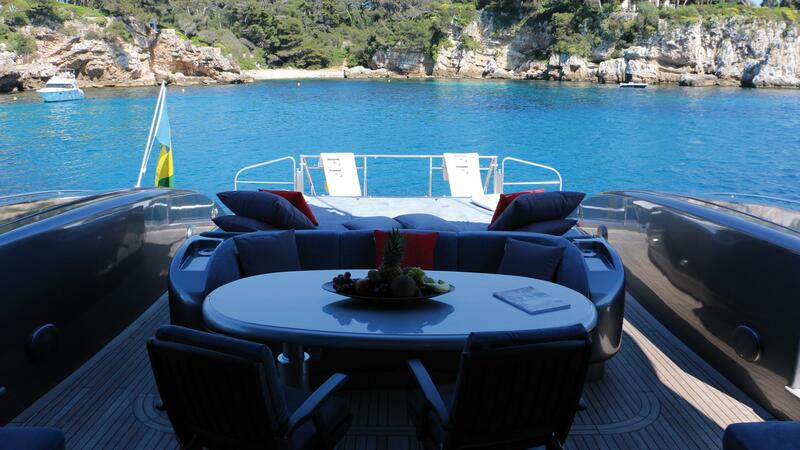 was recently refit to bein excellent condition for boss of yacht chartering. 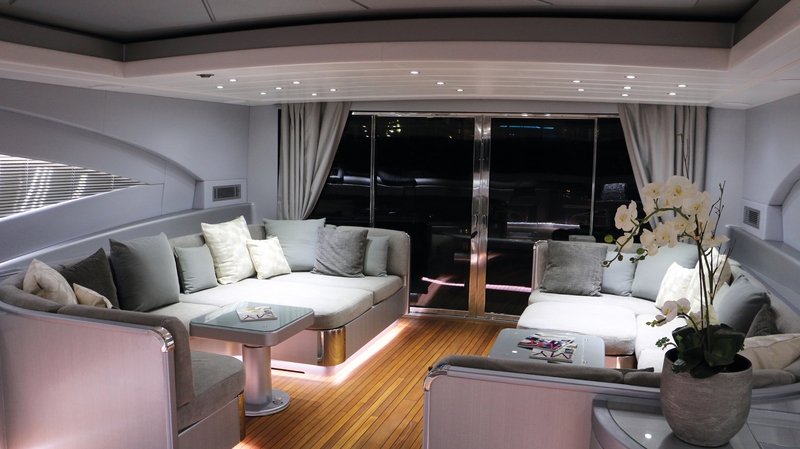 7 other guests can join him on board, with 3 luxurious, modern cabins on board – Leo and Kelly’s master suite has a nice 75′ TV and a his & hers ensuite. She comes with a jet-ski, wake board, a banana and donut, should Leo have some spare time in his busy schedule making sure his gala runs smoothly! Leo has paid over $65,000 to rent the yacht if he’s on it for a week, which is pocket money to the actor, rumored to around $220 million! Leo smashed last year’s total of $25 million thanks to his celeb pals. Up for auction was a piano Elton John played on at the event and access with Harvey Weinstein to the Oscars and Cannes Film Festival. John Legend and Elton John were the special guest performers at the event. Royalty even attend the event, with Prince Albert II of Monaco and Sarah Ferguson, the Duchess of York in the U.K on the high-profile guestlist! See more pics of the superyacht J.F.F here (including the lovebird’s romantic master suite!) and check back to Celebs on Yachts to see what Leo rents next!! Michelle Rodriquez Seen on $500k-a-week Yacht Ecstasea (Where she had Fling with Zac Efron!) Gorgeous Nina Dobrev Takes the Plunge down Superyacht Waterslide!